Built near the Catskill Mountains in New Paltz is Mohonk Mountain House, a Victorian castle resort that’s been around since 1869. Since its founding, this award-winning resort has welcomed as guests those looking for instant getaways, romantic escapes, and idyllic family vacations, allowing them to be as active or as relaxed as they want to be. Once they arrive there, guests will find accommodations with an old world charm – a stark contrast from the busy city life. The Mohonk Mountain House Resort has four different kinds of fully furnished rooms and 3 different kinds of suites, all of which have interiors that hold true to the promise of a Victorian castle but with all the comforts of the modern world. There are many porches around the resort that offer spectacular views of the surroundings, but each of the rooms has their own breathtaking view of the Catskill Mountains as well. 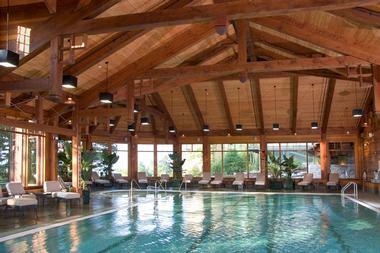 The rooms are also at the heart of all the other resort facilities such as the pool, spa, lake, and more. Mohonk also has housekeeping cottages for those who want a bit more independence in their stay. These accommodations come with kitchens, multiple bedrooms, lots of privacy and beautiful surroundings to explore. There are different styles of cottages to suit the guests’ tastes: Perch, White Cedar, Oakwoods, Golf Cottage, and Holly Cottage. 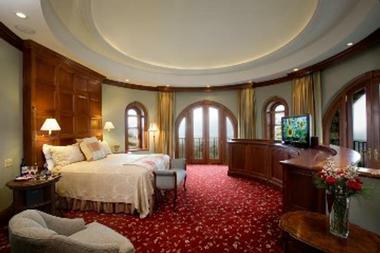 These accommodations also include a wide selection of extras to enhance the entire experience. Guests can treat themselves to Celebration Cakes, Flowers, Food and Wine, and more, available on pre-order or on-site request. Dining at the Mohonk Mountain Resort is all about a wide variety of delicious dishes for all times of the day. Whether guests are going for a pile of pancakes for breakfast or an elaborate three course meal for dinner, each dish is a creation of award-winning chefs whose talents bring out the best in fresh, seasonal, and locally available ingredients. When the weather is perfect for it, guests can also experience outdoor dining. There, they will be served mouth-watering food while being treated to a beautiful view of the surroundings. On special holidays and events such as Halloween or Easter, the regular dining experience at the resort is made more fun for everyone with activities and themes that appeal to guests of all ages. Finally, those who will find their accommodations to be too comfortable to leave can simply request for room service to have their breakfasts served in bed, their choice of midnight snacks delivered to them, or to be able to taste their favourite wine out their front porch. Those who go to the ground level will find the Carriage Lounge where they can be served drinks of all kinds in an environment that’s perfect for all kinds of interaction, may they be intimate conversations with a friend or just hanging out with a group. The place is also designed to just encourage people to unwind and relax over any of the bar’s signature cocktails, wines, spirits, and lite fare options. The resort is also a place for people to get in touch with themselves through relaxing massages and treatments at the resort’s award winning spa. The Spa has 16 treatment rooms meant to accommodate all kinds of spa activities, including facials, skin care treatments, couple treatments, wet treatments, and more. Other services can be found at the salon, where guests can get their nails, hair, and makeup done. The rest of the spa is composed of relaxation spaces, changing rooms for men and women, steam rooms and sauna, a mineral pool, and a solarium. Relaxing before or after the spa treatment means hanging around the solarium or the glass-enclosed verandas, where guests can choose to stay by the fireplace or at a spot where they can see the view outside. Open throughout the year, the outdoor mineral pool serves as a mini-oasis surrounded by a stone patio. The heated pool has imported Dead Sea salts infused in it, enhancing its therapeutic effects. But if guests don’t want to go out, they can also enjoy the heated indoor pool that’s 60 feet long. It features underwater music and is available exclusively to overnight guests. Guests are also assured that all the products used at the spa are safe, since Mohonk only uses the line of organic products of Eminence from Hungary. These products use herbs and fruits as well as “Naturopathica” from the New York State. 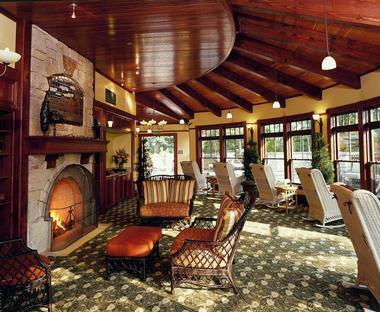 Mohonk Mountain House Resort also welcomes families who want to bond in an environment away from the city. Kids are so pampered in the resort that it’s named as one of the top kid-friendly resorts in the US. There, children can explore mountain and lake side’s as part of a family vacation package inclusive of everything needed for a carefree stay. Dining with the family at Mohonk also means having kid-friendly meals that even the pickiest of eaters will love. Nevertheless, they will still get the best fresh dishes made by the same chefs using the same natural ingredients the resort always uses. There is also the Complimentary Kids’ Club, which is a program meant especially for the children. In the program, they will be exposed to a wonderful set of activities that are both fun and educational such as hiking, canoeing, hiking, and scavenger hunts. 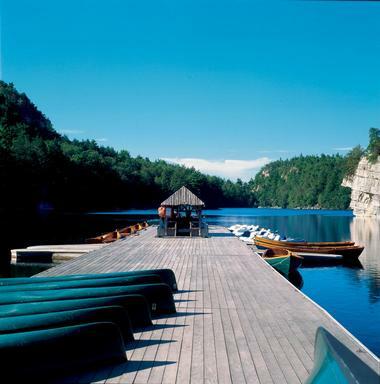 Mohonk is also an ideal place to have a family reunion. With packages that are inclusive of guests of all ages, entire families will be able to gather together and find accommodations, activities, programs, and dining experiences that they will enjoy and bond over. Families can opt to have their reunions and celebrations in open spaces or indoor function rooms that could be reserved for them. For companies and entrepreneurs, Mohonks is also a great place to meet with clients and spend time with co-workers. 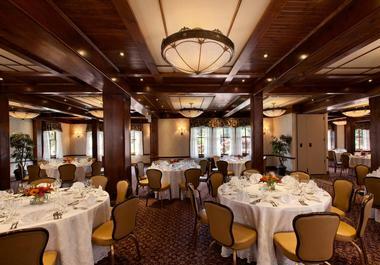 The resort offers packages for day and overnight meetings, social events, overnight and day motor coaches. The environment also makes it possible for corporate guests to do business and work in the most comfortable of environments and fully customized group activities meant especially for corporate retreats. Guests can even opt to coordinate meals and block reserve rooms to make the experience smoother. 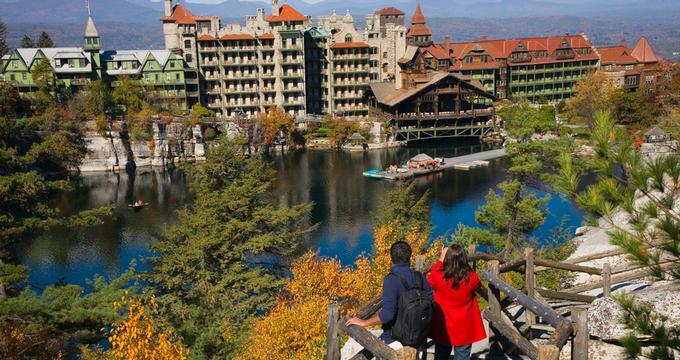 With over 40,000 acres of lush, natural, and colourful landscapes, it’s no secret that the Mohonk Mountain House Resort cares about the environment a lot. All its amenities, including the spa and terraces are all designed with preserving the environment in mind. Even the functions of the facilities such as use of geothermal heating/cooling systems are eco-friendly. Activities set within the resort are also meant to promote the preservation of the surroundings. Many of the Kid’s Club activities are meant to promote the environment such as rock climbing, onsite hiking, and more. Finally, the naturalist staffs of the resort employ practices that conserve energy and resources. The rooms are lit by energy saving bulbs and all laundry and cleaning is done with biodegradable and non-toxic substances. The resort also employs an elaborate composting and recycling system to make sure that waste is disposed of properly. Mohonk also partners with Clean the World for its large supply of soap and shampoo. Clean the World has been recycling and hygiene supplies for many years, and Mohonk’s partnership has contributed to the recycling of over 325,000 pounds of shampoo and 11 million soap bars, effectively reducing waste by 750 tons. The owners of the resort constantly participate in tree planting projects as well as activities that raise local awareness for the preservation of the environment. 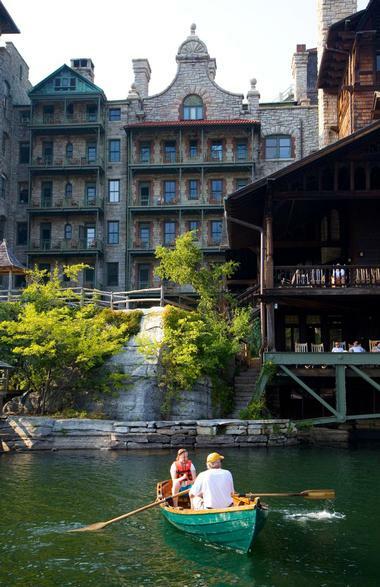 Accessible by plane, car, bus, or train, Mohonk Mountain House is located 90 miles north of NYC. Whether guests choose to take the Adirondack Trailways buses to the New Paltz Bus Station or the train service to the Poughkeepsie Train Station, getting to the resort is easy even without a car. Guests can also opt to fly to the Stewart International Airport in Newburgh, which is only 25 miles away from the resort. Meanwhile, many car owners have found their way to the resort through various familiar and accessible highways. Find more great weekend getaways from NYC, All inclusive resorts in USA and day trips from NYC.